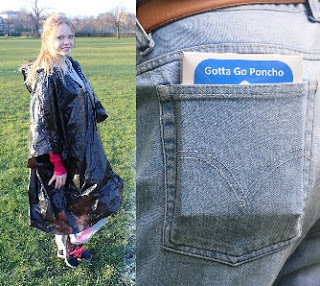 What do you think of this Gotta Go Poncho? And do your business within the privacy of a non-transparent hooded poncho. Accompanying pee and poop bags are leak proof. Wet cloth wipes are extra large and soft with a soothing formula. All are disposable. For men and women. One size fits all. Consider for stocking stuffer or Christmas gift!